This Corrections Working Group has been meeting for six months now and is being supported by the four Districts of: 39 (Abbotsford) – 43 (Langley) – 44 (Mission) – 45 (Chilliwack). These Districts have eight of the nine Federal Institutions and one Provincial Jail in BC/Yukon Area 79. Each Institute has between one and two meetings a week (with an average of 8 – 12 people in attendance) and is in need of support from those of us on the outside! 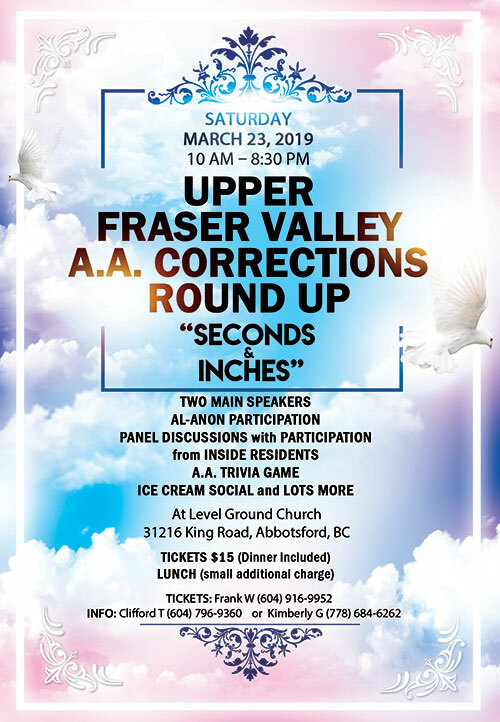 We are putting on an A.A. Corrections Round Up called “SECONDS & INCHES” on March 23rd in Abbotsford which will run from 10 AM – 8:30 PM. The cost is $15.00 and includes Dinner. 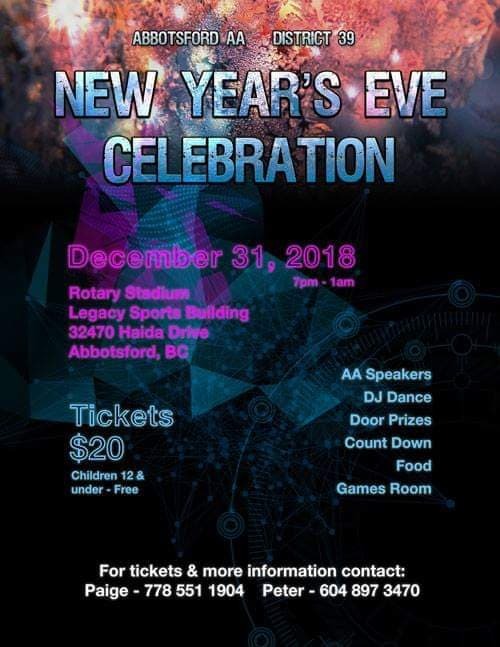 We have two Main Speakers, an Al-Anon Speaker, Panel Discussions which will include some Inside Speakers and a Trivia Quiz. 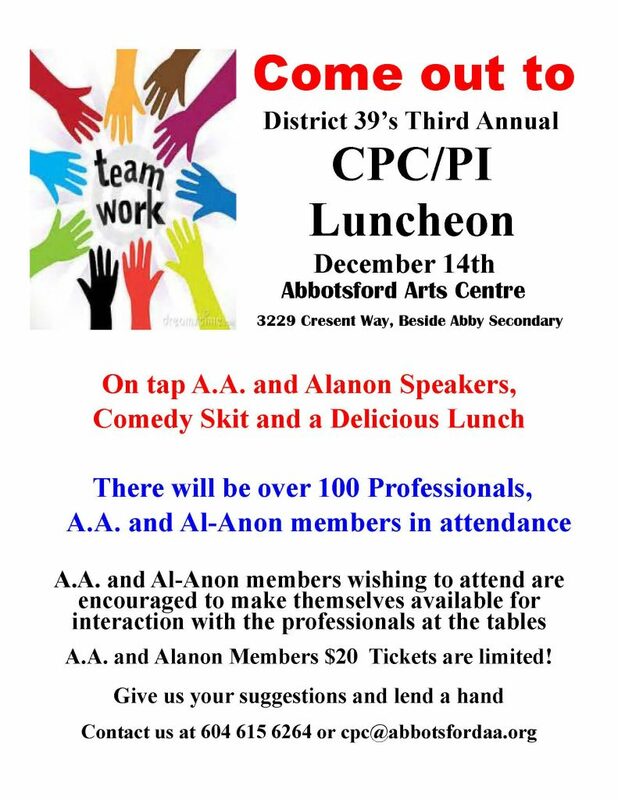 Please see the attached Poster (pdf). How can those of us on the outside be of assistance? 1. We can volunteer to go in to the many Jail meetings. Federal Institutes take about three months. You will receive a “Reliability Status” that is good for ten years. This is for both Men and Women who are incarcerated. Our District Correction Chairs will gladly help you with the process and any questions that you may have. 3. We can volunteer for the Pre-Release (Bridging the Gap) Program to meet people upon their release (at the gate, plane, train, boat or bus) and take them to their first couple of meetings. b. We are planning our February meeting to be in Abbotsford at the Level Ground Church where we are having our Corrections Round Up. Date yet to be decided. Yours in love and service, Clifford T.